Adam Popovich was born in Denver, Colorado. 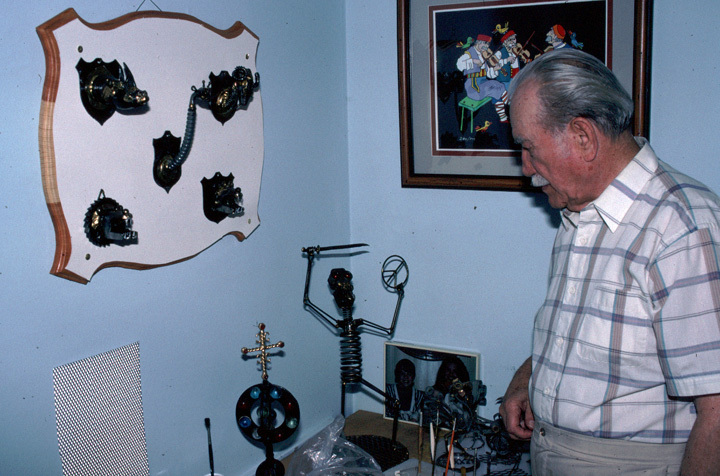 His father, Nikola Popovich, a Serbian immigrant from Lika (part of Croatia), worked on the railroads and in the coal mines of northern Colorado and Nevada. When Adam and his brothers were young, their parents instilled in them a love of traditional music by teaching them the epic songs of his homeland. Adam and his brothers, Eli and Ted, began to take tamburitza lessons in 1924, walking five miles to an immigrant teacher in a nearby mining town. Tamburitza is the term for a family of five-fretted stringed instruments, the prim, brac, celo, bugarija and berda. They range in size from smaller than a mandolin to larger than a string bass. 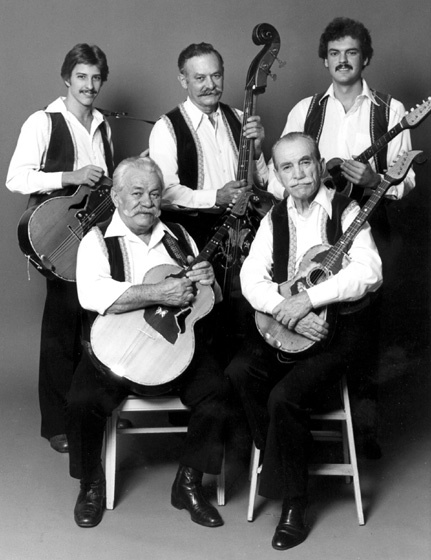 In 1925, the Popovich brothers formed their own tamburitza orchestra and began playing for Serbian celebrations throughout the Western states, but they probably attained their greatest popularity in the steel towns of Indiana and in the Chicago area, where they finally settled. Adam played celo and was recognized by his brothers as the "mentor" of the group. Together, they performed at social events such as weddings, dances and church socials and in neighborhood taverns and clubs. 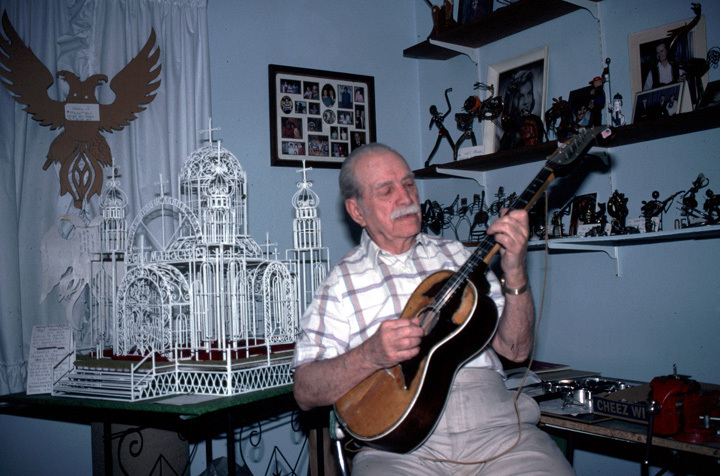 For them, "playing tambura (a stringed instrument or plucked lute) was "a song from the heart." To support his family, Adam worked as a millwright in the steel mills but managed to find the time to not only play tamburitza music but to sing in the Sloboda Choir, the church choir at St. Archangel Michael Serbian Orthodox Church. He also studied piano, harmony and composition with Joseph Kindl, Sloboda's choirmaster, and when Kindl retired in 1936, Popovich became choir director. 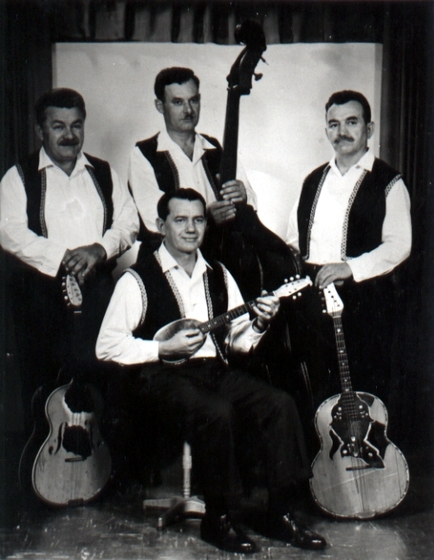 Under Popovich's direction, Sloboda became a widely respected choir, known throughout the Serbian American communities for its high musical standards and faithful membership, which included three and four generations of families. As choir director, Popovich led rehearsals and public performances, arranged music and translated many pieces into the Serbian language. 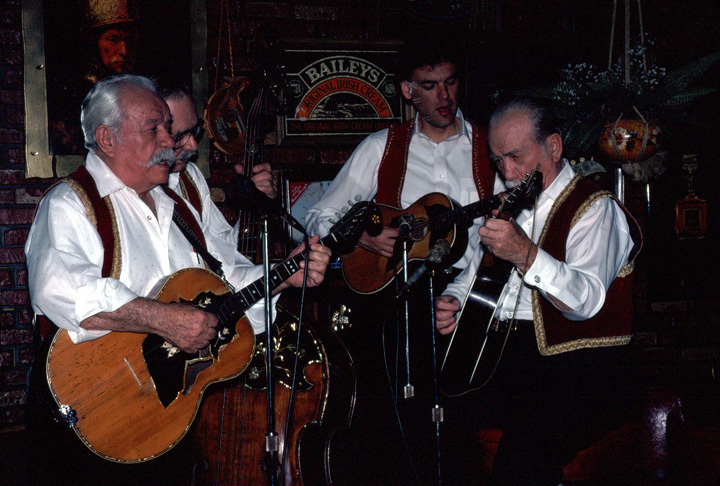 During World War II, several of the brothers served overseas, and after the war the Popovich Brothers tamburitza orchestra resumed playing. The brothers also opened a tavern-nightspot, Club Selo. 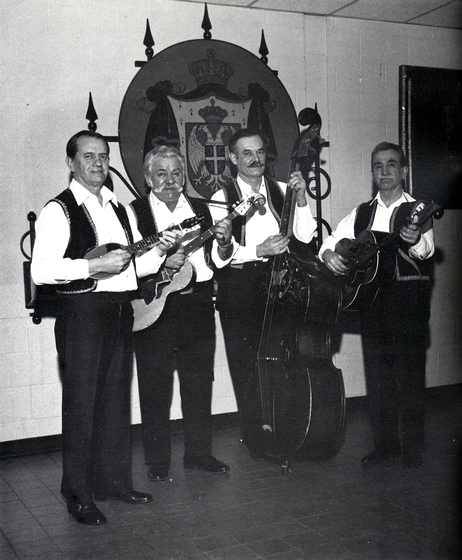 The club served Serbian food, and local tamburashi (tamburitza musicians) provided the entertainment. 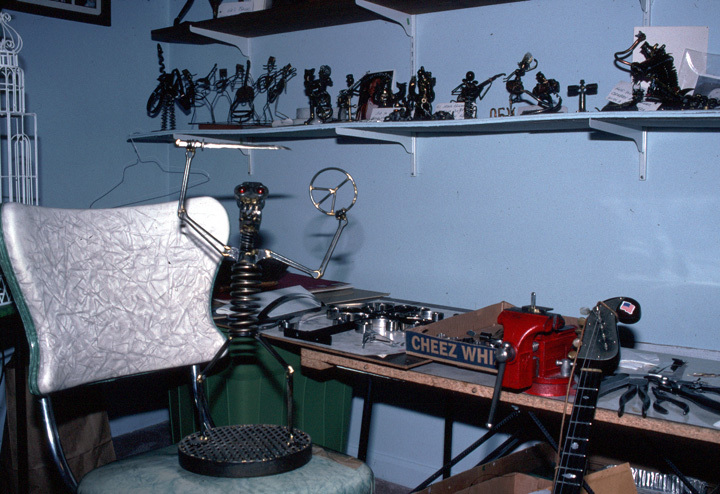 A few years later, they sold the club, and Adam returned to work in the steel mills, continuing his music in his leisure time. In 1976, Popovich organized a large tamburitza orchestra to accompany the Sloboda Choir for its bicentennial concert. Prominent tamburashi from all around the Chicago area came to play for him, and together they formed the Chicago Tambura Ensemble with the membership of about twenty-five established tamburashi. Ensembles of this kind originated in the European nationalistic movements of the late 1800s, when musicians worked to create what might be called a "national" classical music. Deriving their inspiration from these early efforts, the ensemble built a repertoire that featured orchestral arrangements of traditional Serbian melodies and light classical music by Serbian and other composers. In addition to presenting large-scale concerts, the ensemble offered musical instruction for young people and maintained associations with other adult groups, such as the Pittsburgh Tamburitza Philharmonic and the Detroit Tamburitza Symphony. Marshall, Dan. "Our Fathers' Music." World & I (March 1998) 13, 3: 204. Raim-Zinser, Ethel, and Martin Koenig. "Tamburashi Tradition." In Festival of American Folklife. Program. 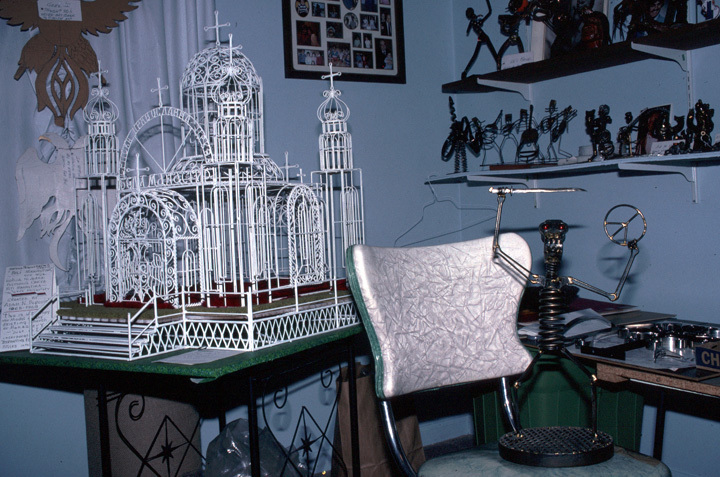 Washington, D.C.: Smithsonian Institution, 1973. Popovich, Adam. Serbo-Croatian Tamburizas, Vols. 1 and 2. Arhoolie/Folklyric 7046, 7047. ______. Sing with Teddy and the Popovich Brothers, Vols. 1-8. Festival Records. The Popovich Brothers of South Chicago. Videotape, 60 minutes. Directed by Jill Godmilow in collaboration with Ethel Ruim and Martin Koenig. New York: Ethnic Folks Art Center, 1978. Ziveli: Medicine for the Heart. 16mm, videotape, color, 51 minutes. Directed by Andre Simic and Les Blank. El Cerrito, California: Flower Films, 1987.